At CLEAR we have a straightforward and sensible approach to providing you with the right cover at the right price, with no nonsense and no jargon. We will always work with your best interests in mind and, wherever possible, we’ll demonstrate ways in which you can save money without compromising the amount of cover you have. We have strong relationships with our insurers and even in-house claims settlement for some. So, combined with our ‘can do’ attitude and our ability to interpret policy wording to ensure the best possible outcome for your claim, we can provide you with true peace of mind for your home, contents and car insurance. Here are some of the most frequently asked questions we receive about our private client insurance policies. It’s not just the 'super-rich' who need bespoke insurance. High-value home insurance is designed for individuals with high-value homes, including listed buildings, typically with rebuild costs from £250,000 and contents cover from £50,000 for mid-net worth individuals, and £500,000 rebuild and £100,000 contents for high-net worth individuals. It doesn’t always come down to the value of your possessions. Items may have been inherited, jewellery could be exclusive, especially if the cut or design is patented and no longer produced. Replacement art and antiques may also be unavailable. No two homes are the same and lifestyle, property and valuable possessions all differ, which is why we tailor policies to be as individual as you are, written in plain English, with no onerous warranties or conditions. Mid and High Net Worth policies are designed to cover all of your possessions for all risks anywhere in the world whilst temporarily removed from your home. Why do you need to know about trees in close proximity to my home? In urban areas, trees are essential to improve the appearance of an area, help absorb air pollution, provide oxygen and moisture, shade, privacy, can help stabilise land as well as providing habitats for wildlife. So, as a result of the many factors an insurer may consider, you should always seek expert advice when planting or removing trees close to buildings and on shrinkable soils. How often do I need to have valuations? Depending on fluctuations in the gold and precious stones market, we would recommend you have your jewellery valued every 3 to 5 years. I am having an extension built, why do I need to inform you? Whilst building works are being carried out on your home insurers may reduce or cancel your cover completely leaving your major asset uninsured and you could be in breach of any mortgage terms or conditions. We recommend to our clients that they allow us to arrange the insurance required for the works and the existing structure to ensure there are no gaps. Why might cover available on the internet be considerably cheaper? By buying direct there is no one to give you the advice you need and the difference is in the small print. The policy could have low inner limits and the terms could allow the insurer’s suppliers to replace your loss, stolen or damaged property with items that have a similar specification but not necessarily the same brand. For example, sound systems may have similar specifications, so a premium brand system that cost you thousands could be replaced with a budget brand. What happens if you have a difficult claim and a dispute arises—who do you turn to? Policies purchased via a broker might be more expensive, but the extra expense buys you peace of mind that you have the cover you need, and in the event of a claim a dedicated claims handler is there for you every step of the way. 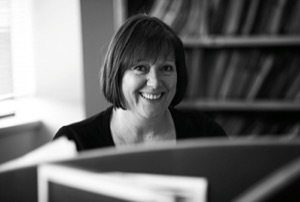 Speak to a specialist, Joan Sell, to arrange your insurance cover. A prospective client approached CLEAR to find out whether we could find savings on his and his wife's existing home insurance premiums.